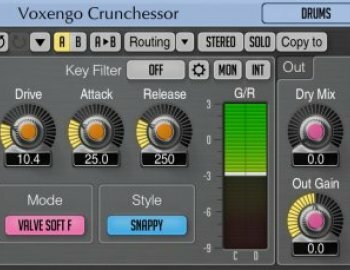 Being a multi-purpose compressor, Crunchessor can be used for any kind of sound material: drums, vocals, bass, guitars, synth sounds, etc. 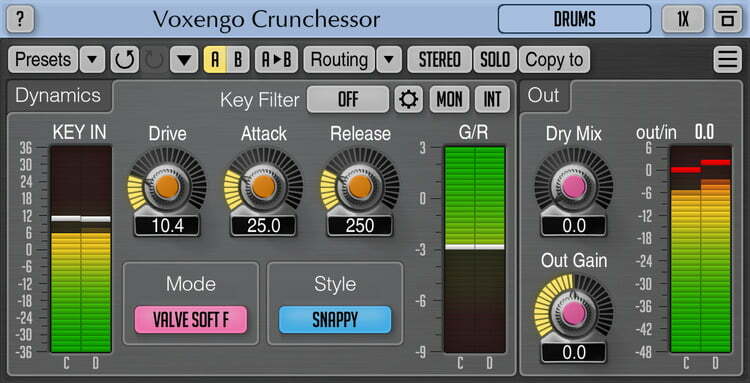 Crunchessor can be suitable both for single track and whole mix processing. Crunchessor also accepts external side-chain source signals and allows you to filter key signal sources before they are used for compression.